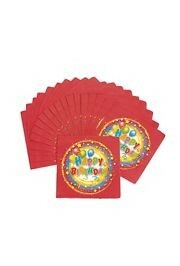 A pack of 25 red "Happy Birthday!" 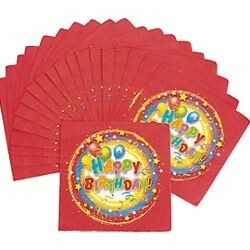 paper luncheon napkins. 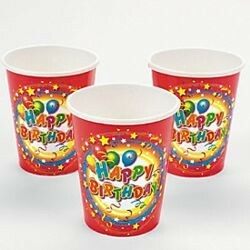 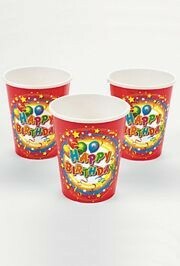 A 25 piece pack of disposable "Happy Birthday" red paper cups. 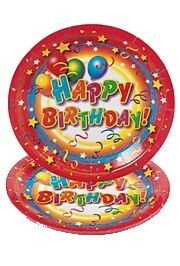 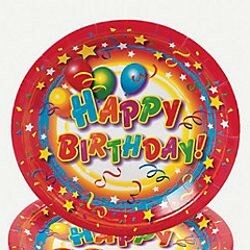 A pack of 25 disposable fancy "Happy Birthday" salad paper plates. Show your support for breast cancer awareness. 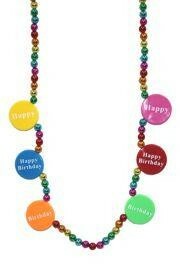 This pearl necklace has a pink ribbon medallion. 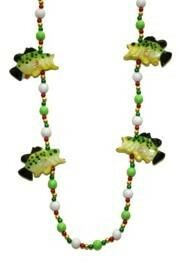 Big Mouth Bass/Seafood Necklace is a 42in hand strung necklace. 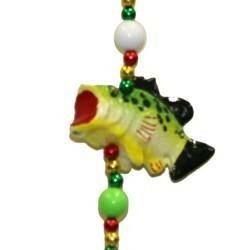 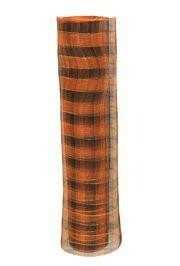 There are 4 Big Mouth Bass fish medallions with green beads and white beads separating them. 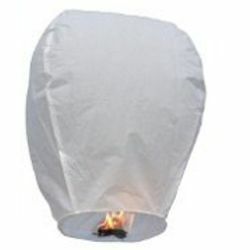 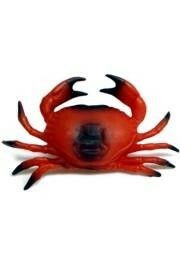 These are great for any Mardi Gras parade and can be found in our animal beads, children's beads, and fish beads collections.